Facebook has announced that it has upped the security credentials of the site, offering a number of new features that make sure nobody else can get hold of your information. The three new features are: one-time passwords (which has recently been added to Hotmail), remote signing out and information update prompts. Facebook in its blog says the features have been created to make the site more secure but Graham Cluley at security firm Sophos is unsure about the use of one-time passwords. He explained about the news: "If you believe a computer might not be secure in the first place, why would you use it to access personal accounts such as Facebook? "A temporary password may stop keylogging spyware giving cybercriminals a permanent backdoor into your account, but it doesn't stop malware from spying on your activities online and seeing what's happening on your screen." Regardless of security concerns, Facebook believes that adding a one-time password (you have to text 'otp' to 32665 on your phone to receive a password) will make it safer to use public computers in places like hotels, cafes or airports. The remote sign out is an interesting one, given the amount of time people log on at home, then also at work. You just go to account settings and follow the instructions to 'end activity' of that device. The updating of security information may be a pain for some, but Facebook seems to be trying to highlight the importance of regularly changing passwords and relevant information like up-to-date email addresses. 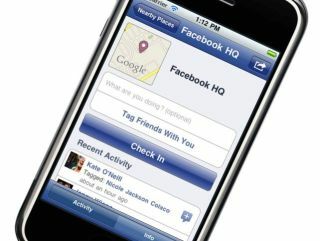 For more on the new safety features at Facebook, go to Blog.facebook.com.